It’s back. The Gold Hill Inn’s historic wooden beams and rafters will once again be vibrating to the sounds of some of the country’s finest musicians—both local and touring—when the venue opens for its 53rd season, May 1. This one-of-a-kind music venue, which has been booking bands since the Finn family bought the place in 1962, has yet another season of top acts scheduled for both indoor and outdoor stages. Gold Hill Inn Co-owner Brian Finn books local and national bands on Friday nights and jazz, folk and bluegrass for the early-evening Sunday acoustic shows, which also features a special bar-style menu available in the front room. 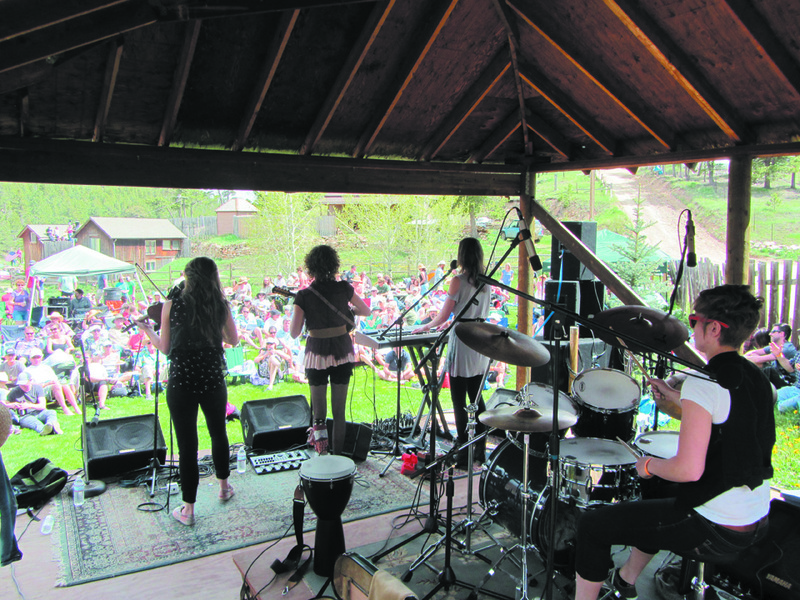 The mountain gourmet restaurant also hosts much larger special events, and numerous bands, on its outdoor stage for Memorial Day, Independence Day and Labor Day. Known for its bluegrass, folk and blues shows, the Gold Hill Inn has more of the same lined-up for its 2015 season. While it’s the perfect intimate venue for a sit-down, listening audience thanks to a “fantastic” sound system and living-room-like atmosphere, the 100-person room sees its fair share of unrestrained dancing. Drew Emmitt’s Left Hand String Band, after all, played the room regularly in its early days, as have countless other well-known acts, both local and otherwise. This May’s music line-up has many familiar names including opening night which features Gold Hill local, and nationally touring artist, Kort McCumber and a special group of local musicians “to help us usher in the new season.” The 9 p.m. show is free. 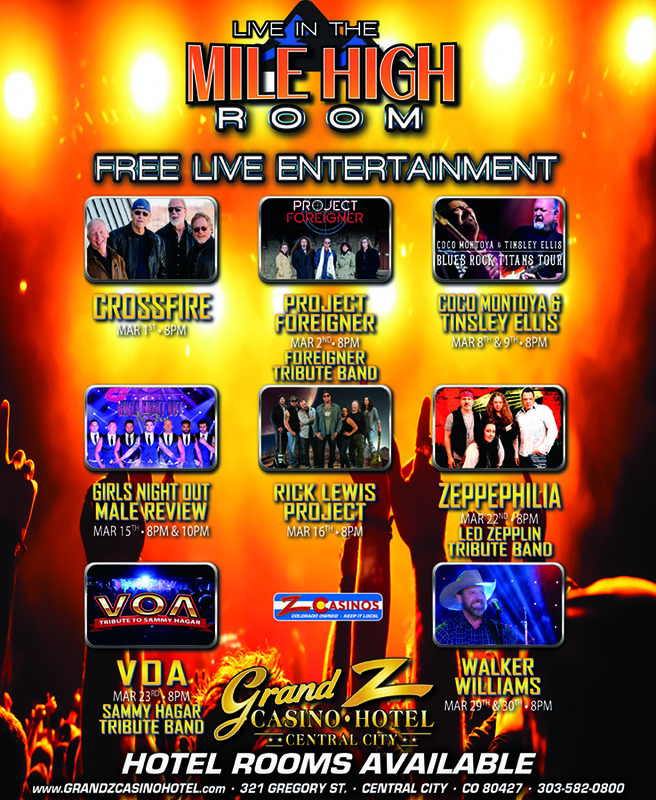 Other local acts are also schedule including The Railsplitters on May 15 and Bonnie and Clydes on May 29. Sunday Acoustic Night shows in May include Colorado acts New Family Dog on May 3, Ashleigh Flynn on May 17, Ostevetto on May 24 and Danny Shafer on May 31. “We are blessed with an abundance of local musical talent in this area so any time we have live music it is bound to be great,” Finn said. He says he is really looking forward to the annual outdoor Memorial Day Mountain Music Feast, May 25, featuring popular regional acts Gasoline Lollipops, Banshee Tree, Mollie O’Brien & Rich Moore and Billy Shaddox. The event also highlights the Inn’s food and includes smoked salmon and apple cider brisket “with all the fixins.” The outdoor shows at on the venue’s large side lawn where people lay down blankets, listen to great music and eat great food. On June 5, the venue welcomes back Brooklyn-based Dirty Bourbon River Show for a night of New Orleans-style party music and on June 7, Martha Scanlan, former member of Reeltime Travelers and Chris Austin songwriting contest winner, performs on the Gold Hill Inn stage. Other big shows this season include Darol Anger and the Furies, a new group featuring four generations of musicians “put together uniquely for this decade, comprised of a fantastical all-star array of talented feminine presences, plus two notorious tricksters.” The band performs on July 8. Dennis Stroughmatt and Creole Stomp, which plays the Gold Hill Inn on July 12, travels the country carrying the long tradition of Mississippi River valley Creole music to audiences of thousands. this band has not only captured the attention of Louisiana music fans across the United States and Canada, but is also legendary on the Blues and Roots circuit for it’s marathon performances featuring a mix of Swamp pop and traditional dance tunes. The Tin Men—America’s premier sousaphone, washboard and guitar trio—make an appearance on Aug. 15. The band, featuring percussionist Washboard Chaz, have been performing at home in New Orleans, around the U.S. and abroad since 2002. The Gold Hill Inn is located at 401 Main St. in Gold Hill. Call 303-443-6461 with questions or to make dining reservations Visit goldhillinn.com for more information. Tags: Banshee Tree, Bonnie and Clydes, Danny Shafer, Darol Anger and the Furies, Gasoline Lollipops, Gold Hill, Gold Hill Inn, Kort McCumber, Mollie O’Brien & Rich Moore, The Railsplitters, Washboard Chaz. Bookmark the permalink.